Last nights friendly between bitter rivals Liverpool and Manchester was played in a decent spirit with no major incidents on or off the pitch, but occasionally the word "friendly" is a complete misnomer when clubs get together. A match between these Mexican rivals at the Sam Boyd Stadium was marketed as a friendly, but turned out to be anything but as chaos reigned supreme. 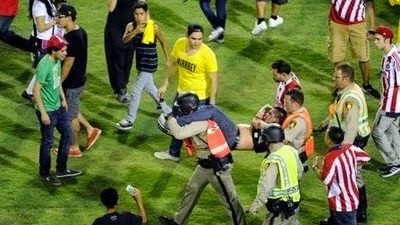 The Las Vegas riot squad was called in to break up a fight between 400 people before the match, but the trouble didn't end there as the players started scrapping on the pitch themselves in a violent first half. After a late Guadalajara goal brought garbage raining down upon the pitch and fighting in the stands, the referee quite simply decided that enough was enough and called the match off. 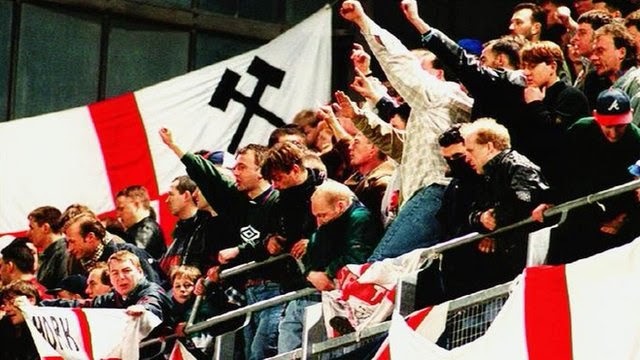 The Lansdowne Road football riot in 1995 came about largely thanks to the Neo-Nazi organization Combat 18 embedding itself amongst the English support. The two countries, who needless to say have a complicated history, had seen their respective supporters involved in clashes following a prior meeting in 1990, and despite the best efforts of the FAI and the FA to avoid a repeat this match was doomed prior to kickoff. With both sets of supporters jeering each other's anthems, and Nazi salutes being given by a section of the English support to go along with the "No Surrender to the IRA" chant, the atmosphere was tense. When David Kelly scored for Ireland on 21 minutes, groups of English supporters went nuts and began ripping up seats and throwing them at Irish supporters who had perhaps foolishly been placed too close to their section. The referee called the match off, but only led to further fighting between the Irish Riot Police and the English supporters on a grim night for football. 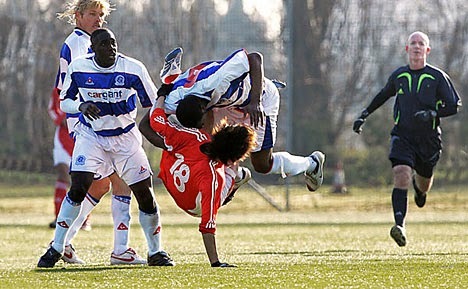 In a rather odd closed door friendly in 2007, the touring Chinese National Team took on QPR in what would later be dubbed by the tabloids as "The Great Brawl of China" or "Kung-Fu Soccer". After a few contentious tackles that were anything but friendly, things kicked off in a big way with up to 30 players and coaches from both sides throwing punches and kicks at each other. China's Zheng Tao came out the worst of it, after he was knocked out and suffered two cracks in his jaw. Referee Dermot Gallagher sensibly called the match off after the wild fighting started. Unfortunately for both sides, but fortunate for the rest of us, the brawl was captured on video and became a bit of an international incident. 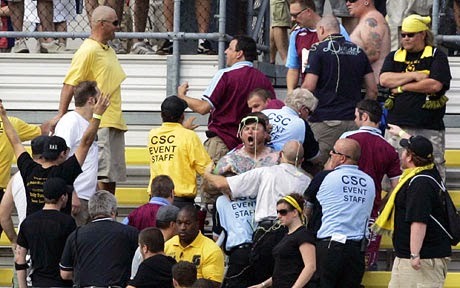 For the most part the MLS doesn't really have a hooligan problem, and even matches between major rivals usually pass without major incident, but things got interesting in 2008 during a friendly between the two sides in 2008. When 30 drunken West Ham supporters tried to recreate the halcyon days of the 1970's by taking Columbus' end, they were surprised to find the Crew fans willing to stand their ground. In the end a likely bemused police force brought the trouble under control using mace and pepper spray.